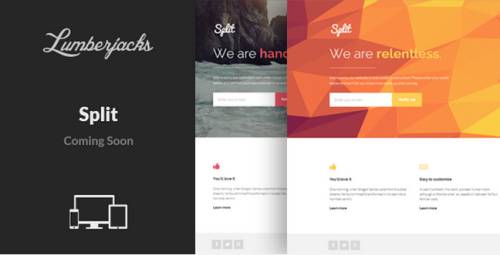 Split is a responsive, simple Coming Soon / Under Construction HTML5 template. Minimal and flexible with Bootstrap 3 framework, looks great on all devices. Includes many background styles: single image, photo slideshow, YouTube video, low-poly animation, gradient and many background overlays PNG files as free bonus. ThemeForest - Split - Responsive Coming Soon Template download full.free ThemeForest - Split - Responsive Coming Soon Template from nitroflare lumfile rapidgator turbobit letitbit uploading extabit ryushare shareflare littlebyte filesuploader.